The Adelaide Bridal Ring is a Gerbra inspired piece will make a unique boho statement. The six beautiful petals explode from the rose centre. 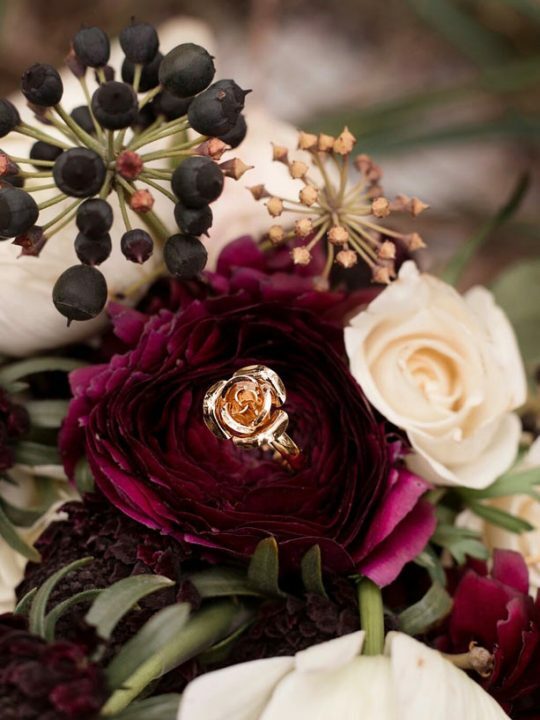 Capture your boho style with this exclusive bridal ring. Be the bold beautiful bride you know you are. 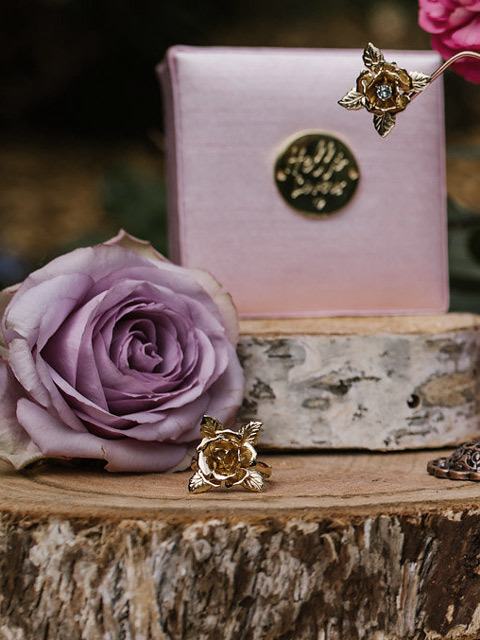 The Adelaide Bridal Rings are unique statement pieces with a bohemian touch. Six individual petals explode outward from the centre rose setting. For this reason we have lovingly named this flower design botanic bursts. Make these botanic bursts yours. And create your own boho bridal style with Hello Lovers Adelaide Collection. 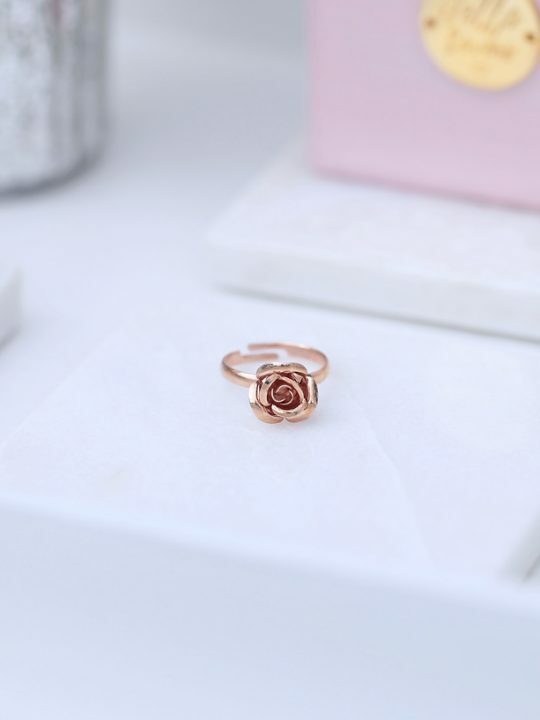 Size: The ring is 35mm wide, the flower is 30mm wide and high. This ring will be packaged in our signature pink silk Hello Lovers box. Set your bridal style on fire when you match this piece with the Adelaide Bridal Earrings. Incidentally, to complete that bridal boho look we also have the Adelaide Bridal Headband. Be bold, choose you. 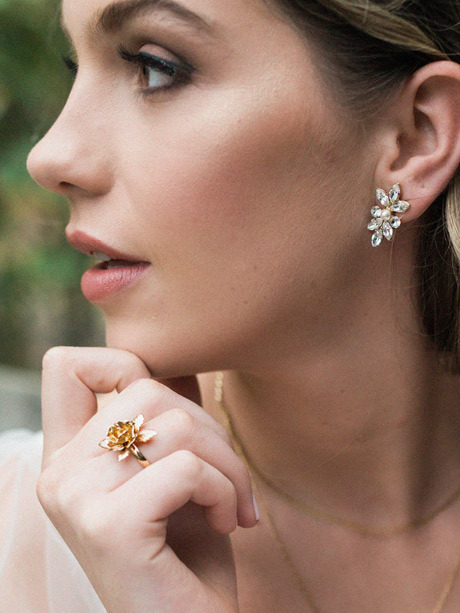 Unique handcrafted jewellery designed and made in Melbourne by Hello Lovers Australia. Also featuring a stunning range of lace wedding dresses in the vintage boho style.